DI Daniel Clement lives in a patchy so-called apartment on top of a supply store by the wharf, trying to piece his life back together after abandoning his excellent career in crime-prone Perth to become a DI on Western Australia’s far-northern coastline. Forsaking that life to follow his estranged wife and young daughter back to his hometown seems like the right thing to do, but Clement feels ostracised from the place of his youth and everyone who lives in it – especially when a brutal murder is discovered in a crocodile-infested creek, and old friends are as suspicious as the new, unfamiliar faces. Now, the detection skills dampened by his low-rent life in low-homicide Broome have an opportunity to return as the case grows in both mystery and body count. 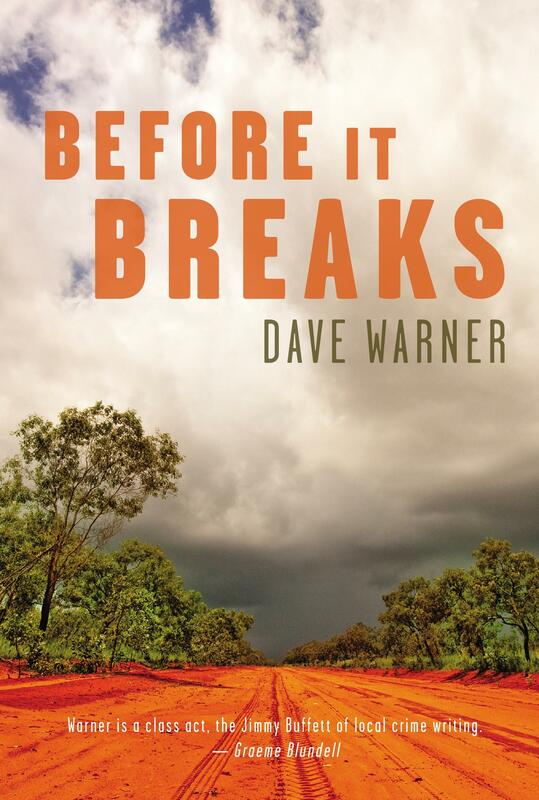 ’70s punk-rocker Warner nails laconic Australian characters but has infused Before It Breaks with a sharp writing style. So immersive in its description of the outback that you could almost swat at the words on the page like the ever-present flies and use the pages to fan yourself from the heat, it bleeds casual realism, honest but never dreary, regarding the non-blockbuster limitations of technology on blurry pictures, office procedure and officers learning the ropes on their first murder, or the determination needed to traverse through hundreds of kilometres of searing West Australian space just to interview one person. A cyclone rampages its way towards them as the case gathers speed: just put on your raincoat and hang onto your book – it’s a wild ride.